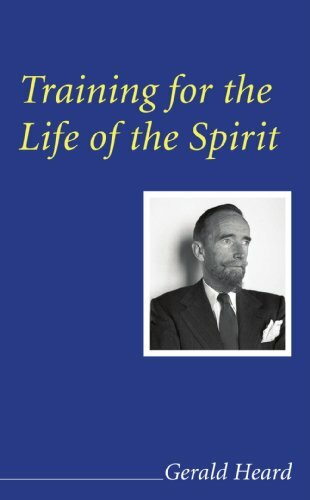 Required reading for those walking the spiritual path, Gerald Heard's Training for the Life of the Spirit methodically outlines the entire course of the aspirant's journey. Heard provides a time-tested roadmap for the wayfarer: "There is a purpose in evolution—to evolve consciously, to evolve consciousness. That evolution is achieved only by the skilled, conscious training of our spirits." The aspirant works to subdue their ego: "For in so far as we are emptied of self, so far are we freed from accident. Our habit patterns, our moods...our natures can be reconditioned, re-freed. We will be inwardly reunited, our fissured selves re-fused." Training for the Life of the Spirit contains Gerald Heard's essential observation: "Our whole life must become intentional and purposive, instead of a series of irrelevant events, adventures, and accidents, happy or unhappy." In Training for the Life of the Spirit, Gerald Heard compellingly presents a map for living the spiritual life. He skillfully renders in modern language the classic teachings of the spirit. Training for the Life of the Spirit is, in effect, a diagram of the inner life and an explanation of the philosophy held in common by the great mystics of all ages and religions. A good primer on mysticism. There is depth in the simplicity of Training for the Life of the Spirit.